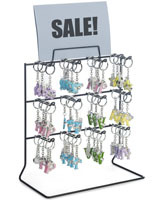 This white countertop peg display is the perfect stand for showcasing key chains, souvenirs, and other small products. 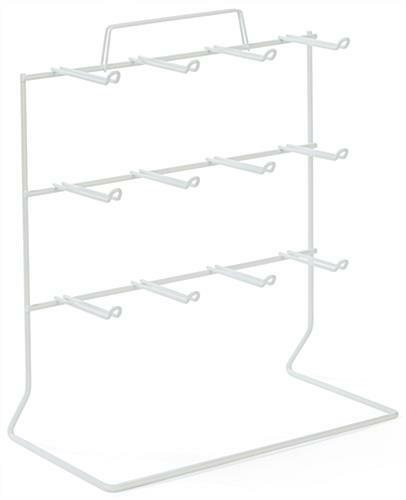 The small assembly and powder coat finish complement any retail or business location. 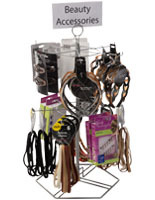 Use the wire rack display to hang up to twelve different products that will grab your customer’s attention. 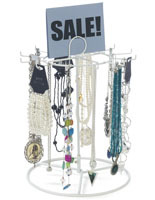 The three tier design offers a clean look and provides you with a means to organize your merchandise. 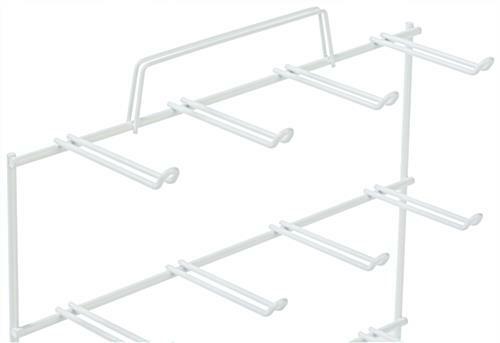 Each wire rack hook is 3” long with a .5” curve on the end to prevent products from falling off. 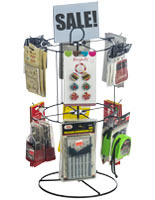 Use the display with 3 tiers to advertise small merchandise and souvenirs to clients at your facility. 11.5" x 13.3" x 6.0"
Although a great buy and item for what I needed it will not work. So the disappointment is due to the fact that it does not work for what I wanted to use it. My items measure 3.5 to 4 inches and I thought it would work. 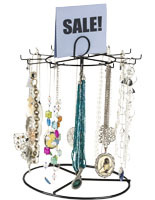 I wholesale it to my customer who loved it. Thank you for the review, Clay! 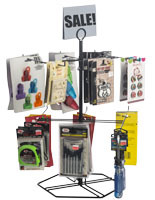 We are happy to hear that both you and your customer are enjoying your purchase. Please shop with us again. This does the job!. 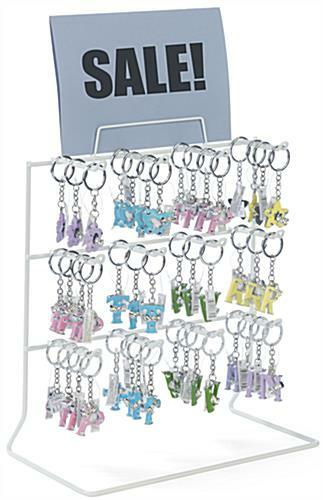 Great piece to hold almost any little key chain, or in the purpose that I purchased for, cellphone charms. I highly recommen this item. Thank you for the feedback, Jen! I make bubble magnets and put four of them in little plastic bags. This rack was perfect for them. Thank you!